Childhood obesity is a growing problem, and without intervention, it does not seem as though it is going to diminish. Many parents do not recognize that their children are even overweight until it is at a late stage, and then it can be difficult to change the habits and behaviors of those children. A great way to get an idea of where you child falls in terms of their weight is with the body mass index or BMI. The BMI is a way of detecting just how much your child is overweight. 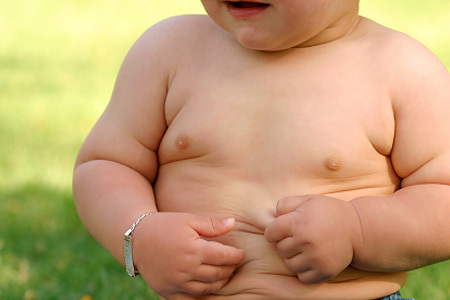 Other methods of measuring body fat are available, but this is one of the simplest ways to determine if your child is in a weight category that can lead to health problems. As with adults, you will measure the BMI by taking the height and weight of a child and inputting them into a BMI calculator. You can find these calculators in many different places online. You can then take the number that you get as a result and check the age/growth charts for girls and boys. You will be able to see whether your child is underweight, normal, overweight or obese with ease. This is a very useful tool when it comes to identifying weight problems that can get worse as the child ages. These weight problems can then cause many health problems down the road. The Center for Disease Control and the American Academy of Pediatrics recommend BMI measurements to begin to identify overweight and obese children from the age of 2 years old and onward. The tool is just the first step in determining the overall health of the child though. Because there can be factors that alter the readings of the BMI, it is important that parents also take their children to a pediatrician to ensure that they are healthy and that they do not have too much fat on their body. The doctor will be able to make other assessments and do more accurate measuring of body fat. The doctor will also be able to factor in the family history, diet, and physical activity that the child gets to see where they can improve. You should remember that when you are measuring the BMI, quite a few factors are going to affect it. Unlike adults, you are going to have to consider the age and the gender of the child. The amount of body fat is going to differ between boys and girls, and the amount of body fat will change with age. Make sure that the person who is measuring the BMI of the child considers all of these things and uses the correct calculators and charts. Healthy weight ranges are going to change based on these factors, and they will change as the height increases. For these reasons, it is always best to make sure that you have a qualified pediatrician making these important health assessments for children. By making sure that your children get plenty of exercise and have a healthy diet, you will be able to combat their weight issues before they even start.